UsenetServer offers fast speeds and security for excellent prices. Newshosting owns 100% of their servers based out of the United States and Europe, so wherever you are in the world, you will have fast and full server access. 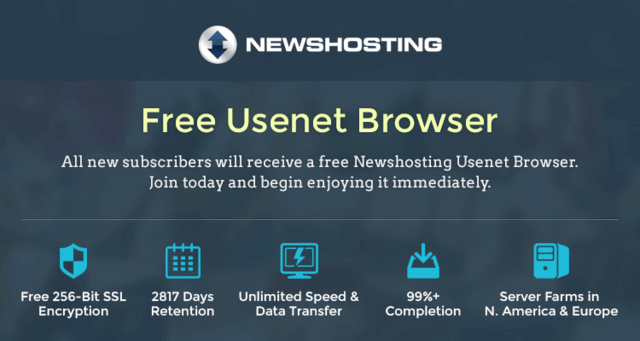 Fast Usenet offers excellent retention rates 14 day free trial, mobile & web friendly gateways to Usenet & a newsreader with Global search.